Try telling your Aunt Jane, or any of your relatives really, that you’re thinking of starting a diet. She’ll tell you about her friend Amy who lost several pounds and became a supermodel, simply by following the BEST diet ever! Or her workmate Mike who is super ripped, and in hushed whispers told her the secret diet he’s been following. In fact, anyone who’s followed a diet and got the results they desired, kind of worships that diet now and recommends it to everyone they come across. It’s similar with all of the trends and fads coming out every other day. But you know what the problem is with that? The problem arises when you try following the same diet that they’ve followed, but don’t get the same results… you start thinking there’s something wrong with your body. But that’s a misconception, as everyone is unique, starting from what their bodies need, all the way to how their bodies work and react to nutrition. 1. What do you want to achieve in your fitness goals? First off, you should specify what your fitness goals are. Are you looking to lose weight or build lean muscle and bulk up? Do you want to maintain your current state, or are you just trying to follow a healthier lifestyle? Your fitness goals can be said to play the biggest role in the way you’ll be choosing your meal plan. 2. What workout plan are you following? The workout plan you’re following should bring you closer to the fitness goals you’ve set. Again, you don’t have to follow what others did. There are thousands of exercises and workout programs out there to help you reach your goals. Gary Preacher from HCG Diet (https://hcgdiet.com/) says that one way to be motivated to exercise is to find workouts you love instead of forcing yourself to do exercises you don’t like. 3. What is your lifestyle? Let’s be honest, making huge and radical changes is often the first clue it’s not going to last long. You want to find a meal plan that fits into your lifestyle as smoothly as possible. It’s good to ask yourself the following questions: Do you like to spend hours cooking and preparing your meals? Or are you more of the grab-the-nearest-thing for breakfast kind of person? Do you prefer to eat at home, or do you find yourself outdoors all day long? Being realistic about your current lifestyle is key to learning how to adapt your eating habits are, without making radical changes. 4. Money talks… what is your budget? Another reality check right here. 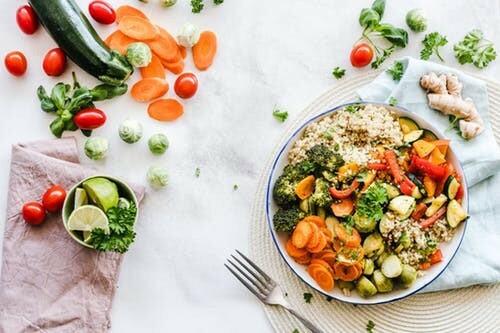 You decided to get a gym subscription, went to a dietitian to set out a fresh new meal plan for you, and started on the road to completely revamping your lifestyle. All of the intruding whey powder, avocado, oils, seeds and nuts, and fancy names you’ll be hearing everywhere, will be quite costly. You can take it one step at a time. Better yet, find a fitness style that fits your own budget. Once you’ve set out your budget and had a reality check, it’s time to choose the meal plan that works best for you. There are many types of popular meals formulated by experts, and they do work to the greater extent. It’s just that they might not give the same results for everyone, and that’s okay. Everyone is different. Whether you choose to go vegan, or try the low-carb, high-protein, Ketogenic, or Mediterranean diets, it’s important to listen to your biofeedback and adjust/change every now and then. It’s completely okay to start following a plan that is already formulated, and see how your body reacts to it. Then try the next, and the following, until you find the one your body most prefers. Actually, after a while, you’ll start noticing a pattern in most diets, and you’ll start to feel that maybe they’re not so different after all. When you do, that’s when you’ll be able to take what’s best fit you from each and combine them together. 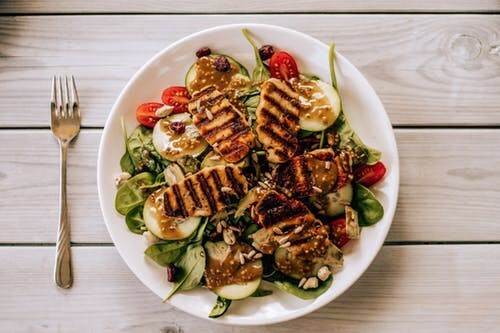 You know a certain meal plan is right for you, not only when you find yourself losing weight or gaining muscle, but also when you feel full of energy and life. The best plans are the ones that tackle your body’s needs, and if the plan you’re following is lacking (i.e. makes you feel fatigued and exhausted instead), you’ll either want to change it or supply your body with what it needs. Instead of looking for a meal plan that feels like it was made just for you, why not create one that is actually that: made just for you? Yes, it sounds like a hassle, so it’s better leave it to the experts. If they’ve come up with all those diets, who are we to say otherwise, right? But that’s just not true! Because, again, we are all different. You own your body, so don’t shy away from trying and failing, and then trying again. Betty Crocker Potatoes make the Perfect Side Dish! Smoked Sausage, Potatoes, and Broccoli Quick Comfort Food Recipe. Previous ArticleYou Deserve a Better Night’s Sleep! Now download fire fox in your system and then try for the search any things so that you can enjoy here and its so easy for us so please come here and get the benefit by this site.